Erndales N More: A Vintage Craft! 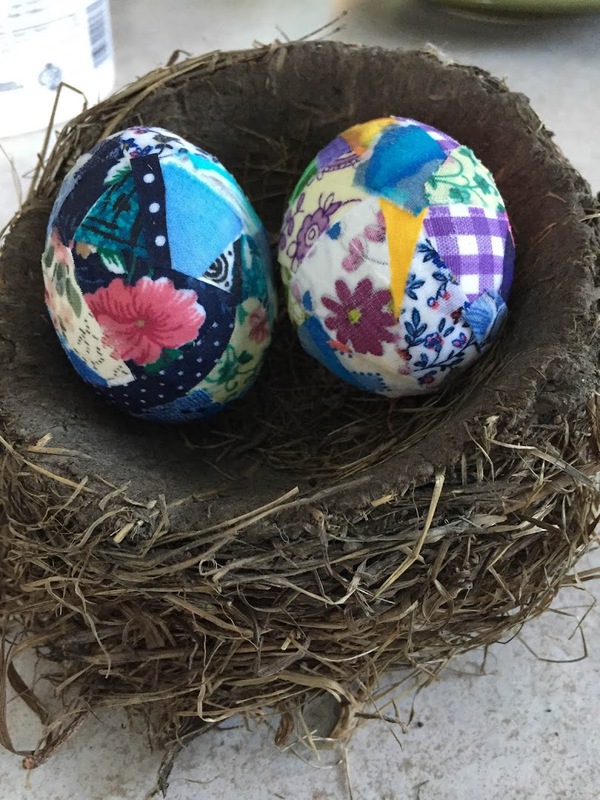 Back in the 70's, crafters used many mediums for their work. Some of the more popular mediums were feathers; fun fur - to make flowers of course; tin cans and wire. 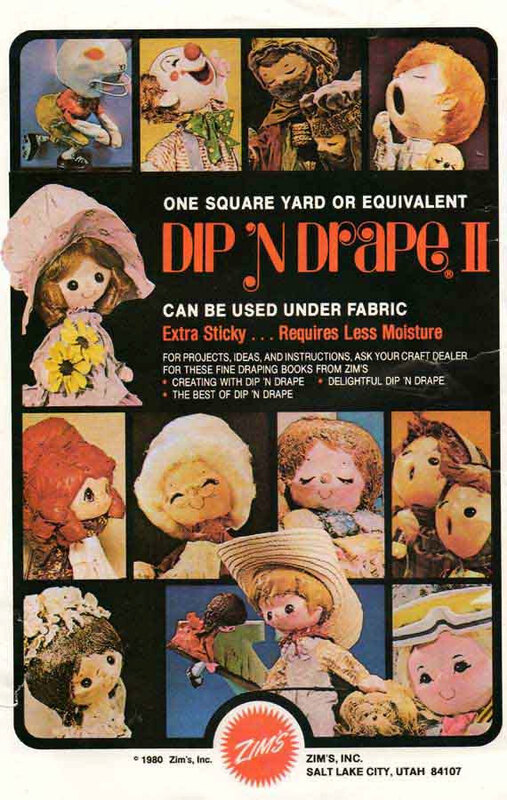 Another craft that became an instant fad was making dolls from dip and drape material. 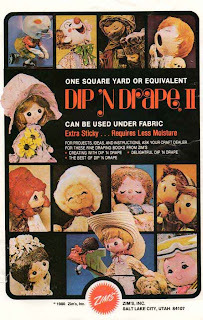 Dip and drape material was sold in packages of 1 yard, and it was a white, fairly dense cotton (i think) which had a sizing or a glue of some type dried right in to the material. 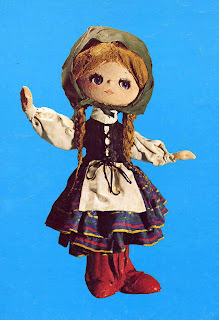 To make a doll you would use rather common items, such as a bottle for a body, or a Styrofoam cone, Heads were usually a large Styrofoam ball, hands were smaller balls shaped like hands, and feet were sometimes several of a lot of things. 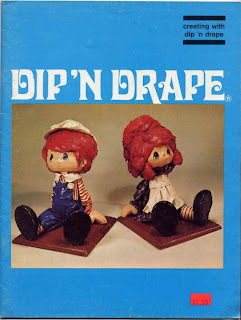 You formed the structure first, and then you would wet the dip and drape fabric and shape the doll, by moulding the fabric over the body form. Once the doll was dry you would then paint on features and detail your doll. Books were sold with patterns and instructions, like the one above. 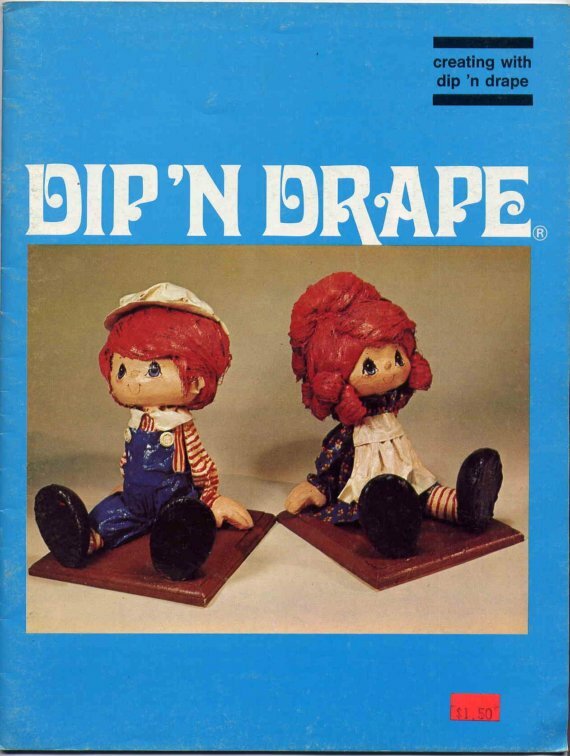 My Mom had several of these books and she made quite a few of the different dolls, but she was always frustrated with her results. I really don't know why - her dolls were great, but she said she didn't have the artistic talent for this type of work. In the meantime she had purchased a lot of the fabric. Every time she went down to Wisconsin to visit my Aunt she would buy up all the fabric they had... I guess she had intentions on perfecting the craft. What she ended up doing was not perfecting that craft at all - she changed it. She used the fabric, still draped it, but when you looked at her sculpture you could not see the fabric at all. I have been restoring some of her original designs the past few weeks, and while I have been working on them I have taken a real close look at her workwomanship! She was a true artist. 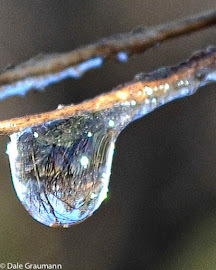 I'll be sharing her creations with you over the next few days - and I'm sure you will agree. Only a true artist could create these very usual and beautiful dolls. Do you remember the flowers made from fun fur? I just came across some Dip 'N Drape at a thrift store. I had to buy it just for nostalgia, but now I don't really know what I am going to do with it. I would really love to find some for my grandma! 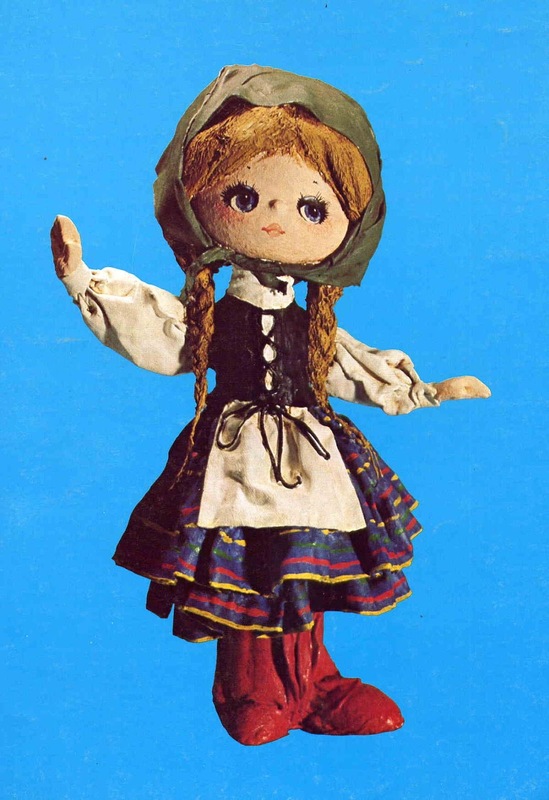 She used to make and sell dozens of these dolls. She has been heat broke not being able to find any to buy. I would love to purchase any that you find!! And then there was Joseph - the Restoration. The Shepherds - The Restoration.